What comes to mind when you think of the Christmas season? Stress? Shopping? Pressure? Chaos? Is it over yet? For those of us in the western world, Christmas seems to bring quite the hodgepodge of emotions, and conjure a myriad of thoughts and expectations. Particularly in the Pintrest-Crazy Internet Land, it can be easy to succumb to the notion that our homes must spotless, decorated to the nines and our children perfectly behaved and able to recite the Biblical account of Jesus’ birth from heart as well as sing Here Comes Santa Claus with the best of ’em. My heart is racing just thinking of it all. The cooking, the shopping, the shipping of packages (and the trips to the post office it requires – gag me with a spoon, please! ), more cooking. Don’t forget the teacher gifts – handmade and all organic and fair-trade of course, the church play and those six dozen brownies we agreed to make for the class party at school. Anyone else beginning to feel like a zombie yet?? That’s why a few years ago I was really searching for a way to make Christmas a truly meaningful time for our family. A time when we set aside the chaos that the busy-ness the season can bring and really focus on why we were celebrating. I was thrilled when I found an Advent curriculum complete with Bible readings, devotional thoughts, and even hymns to go with it! My little heart pitter-pattered as I envisioned our family circled around the fire, cocoa in hand, all listening quietly to the 50-verse Bible readings and then each one in turn offering a thoughtful insight. I’m talking revival right there in our living room! Oh, sorry. It’s just that that particular curriculum required sitting still for more than five seconds. Enter Truth in the Tinsel. This is more than an curriculum – its an adventure! It is designed to begin December 1, and you do one lesson, with a small craft, per day until Christmas. Before you’re eyes glaze over at the thought of a craft every.day., hear me out. Amanda White, the creator of Truth in the Tinsel, created it when her kids were very small. She gets it. Not only has she lined out amazing, fun lessons, she’s made it as easy as possible for mom (and dad)! Each lesson has a short Bible reading, a short devotional thought and then the craft. 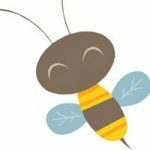 There is even a hyperlink to the Bible verses, so you can just click through to read them if you’re not familiar or comfortable with flipping through a paper Bible. There is also a master supply list for the crafts, as well as a daily list so you can easily look and see what you need for a particular day. She has also created a couple of different schedules. If every day is a bit overwhelming for you, you can just study the main characters. She has really taken all of the guess work out of really celebrating the Reason for Christmas. 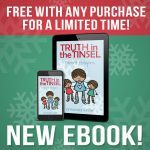 Perhaps the thing I love most about Truth in the Tinsel is how it instills in my children – and in myself – a deep understanding and connection to the Christmas story – the birth of Christ – and it’s meaning. My kids understand not only that Christmas is important, but why. And it was all done in about 20 minutes each evening, having fun. This sounds wonderful. I was just trying to find something like this to do with my kids this year. My favorite part of Christmas is…Getting together with all the family and friends. 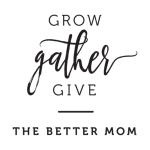 I love decorating my home with the three little sets of hands that help. My favorite thing about Christmas is how joyful my heart feels. We spend all year with most of our family and friends but it’s this time of year that really feels special and puts into perspective how lucky we are. And not going to lie…now that my daughter is 3 I am very excited this year to see her find the gifts under the tree and open them. I was looking at Truth in the Tinsel last year as we did our advent calendar and I think this year would be a great year to start it to keep Christ in mind all season! 3 is a great age to start this curriculum! It’s so much fun!! My favorite part about Christmas is spending time with family and making memories. Especially now with little kids. I love the extra time with my family and spending time with friends during Christmas break. I love spending the whole Christmas day with my family! 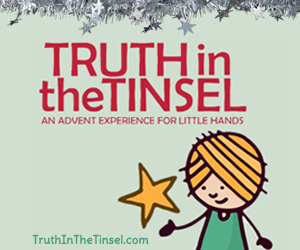 I can’t wait to start Truth in the Tinsel as a new yearly tradition with my 4 year old son! Family time and sharing the birth and reason for Jesus is the BEST thing about Christmas! My favorite part of Christmas really is the advent devotions with my girls and “family devotion” time. I also like the creative challenge to give them the gifts of the Magi.